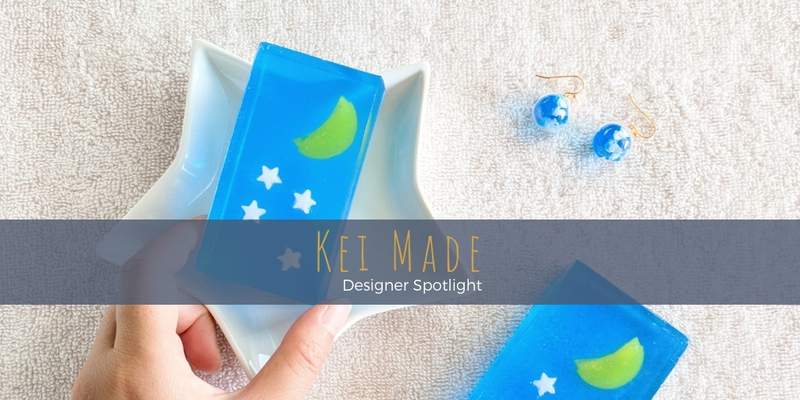 Hi, my name is Kei, and I love making ‘kawaii’ earrings and interior items. Kawaii means cute and delightful in Japanese, and I’m all for using and wearing something that delights you everyday. 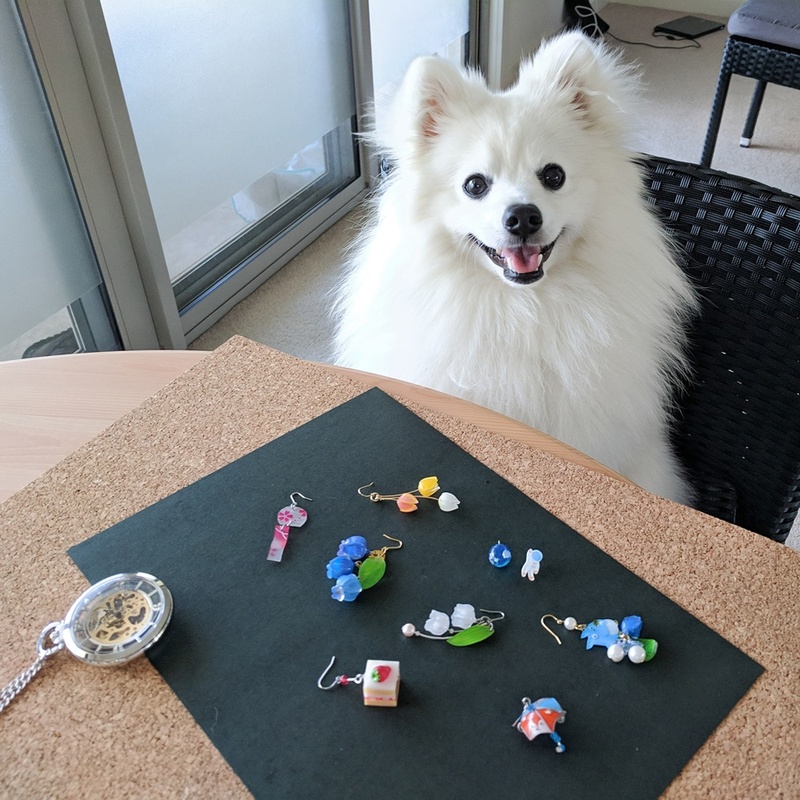 My crafts are made at home in Melbourne with my fluffy assistant, Shinji the Japanese Spitz. 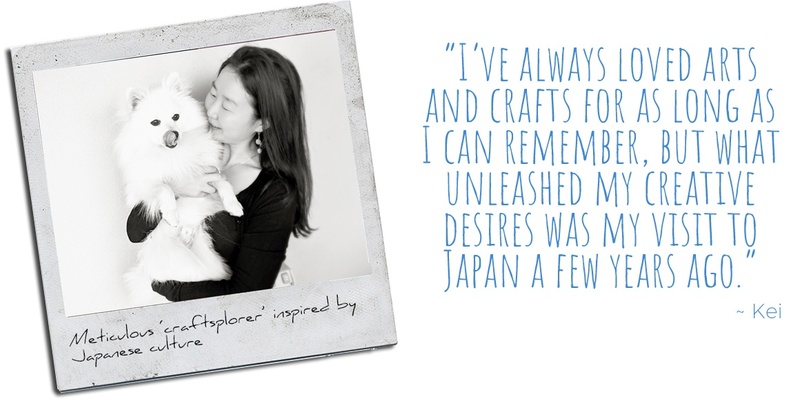 I’ve always loved arts and crafts for as long as I can remember, but what unleashed my creative desires was my visit to Japan a few years ago. 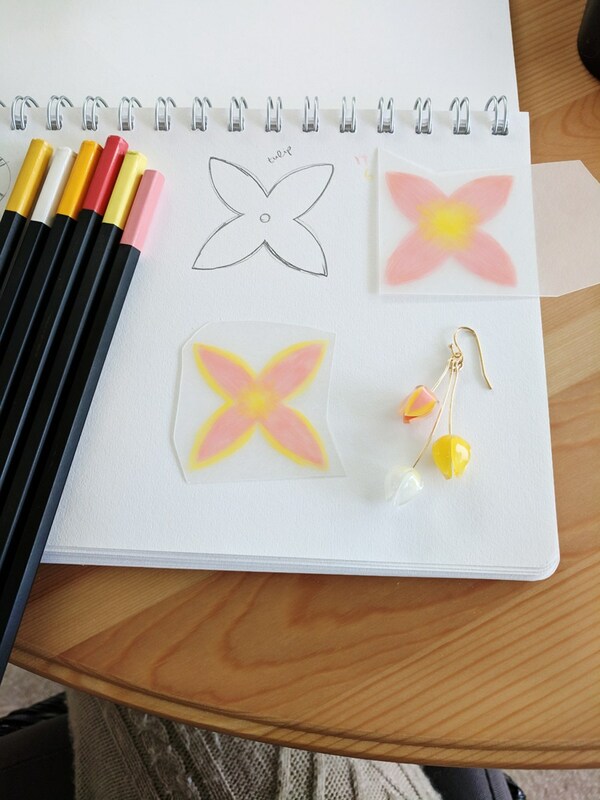 Craft supplies are so much more abundant and accessible over there; I started trying a wide variety of crafts, from clay, to resin, to candles, to traditional Japanese arts like ink wash painting and oshie (the craft of making raised pictures out of cotton wrapped in kimono fabric). 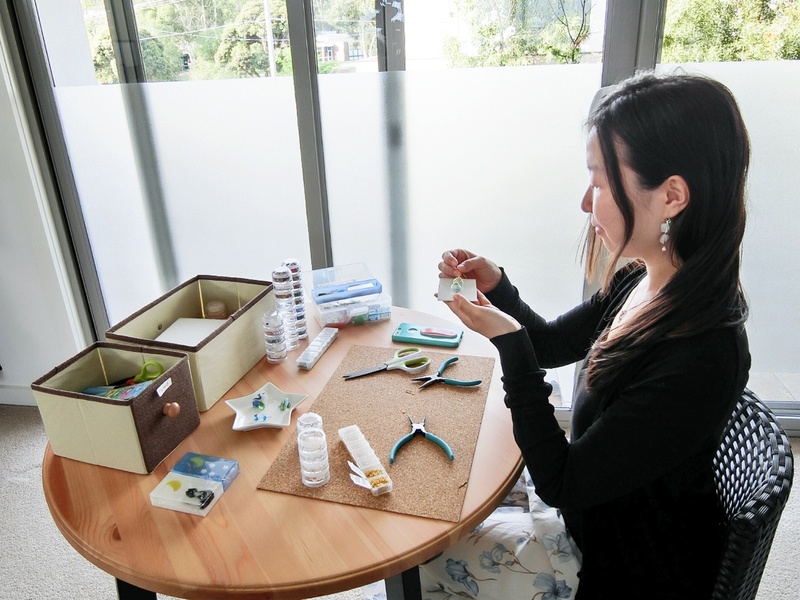 Now, whenever I travel to Japan, I come back home with a whole heap of craft supplies. 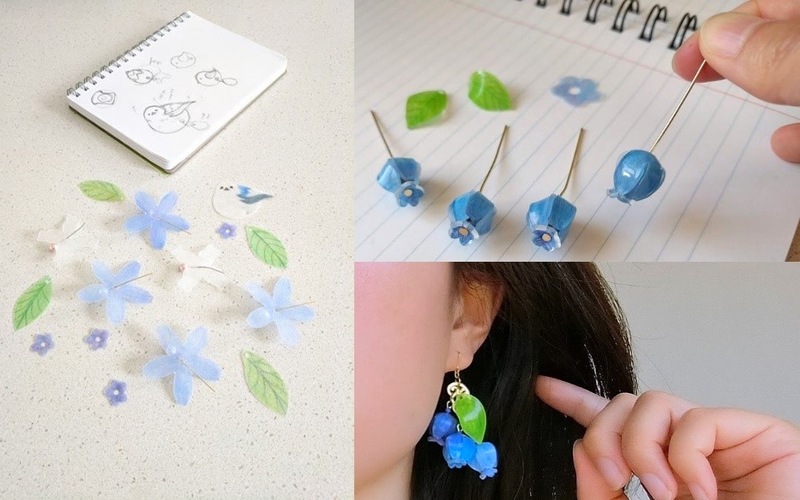 There are still more crafts I want to try next, like porcelarts, preserved flower art, and resin painting. 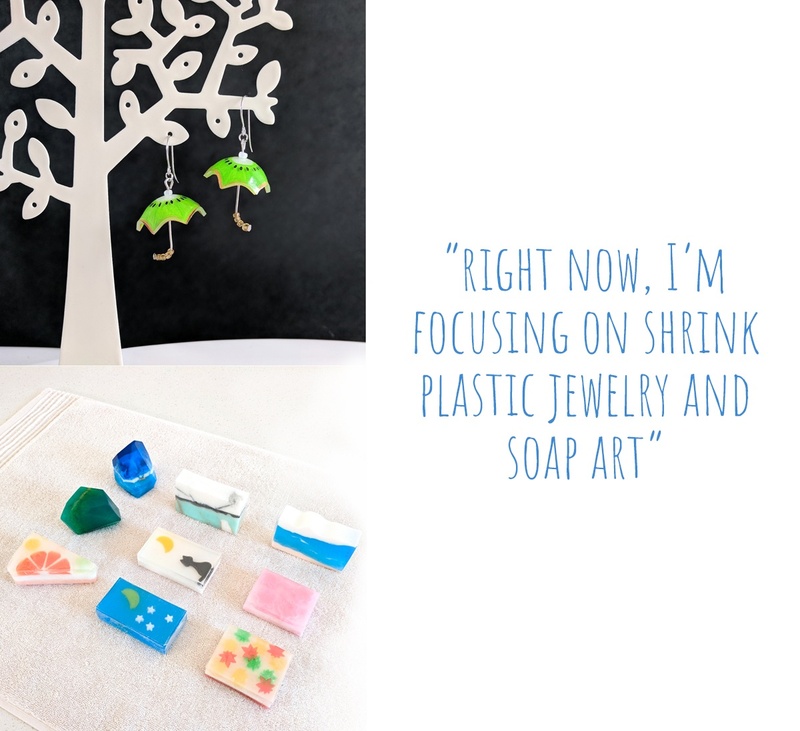 But right now, I’m focusing on shrink plastic jewelry and soap art. 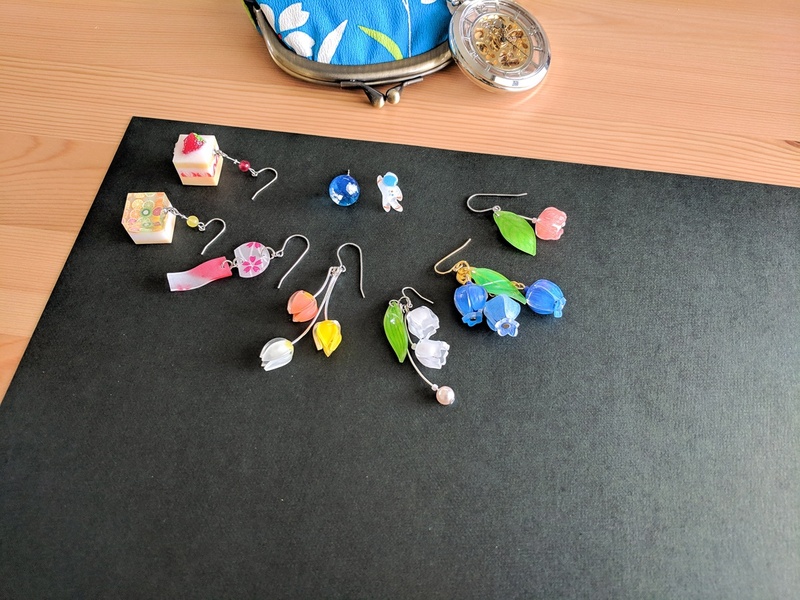 I surprised my friends when I told them that my earring charms actually start out as flat sheets of clear and frosted plastic; I sketch out the 2D plans of flowers, colour them, cut them out, heat them, and bend them into shape while they’re really hot. Because they cool and harden within 5 seconds, this part needs to be done quickly - this took some practice! 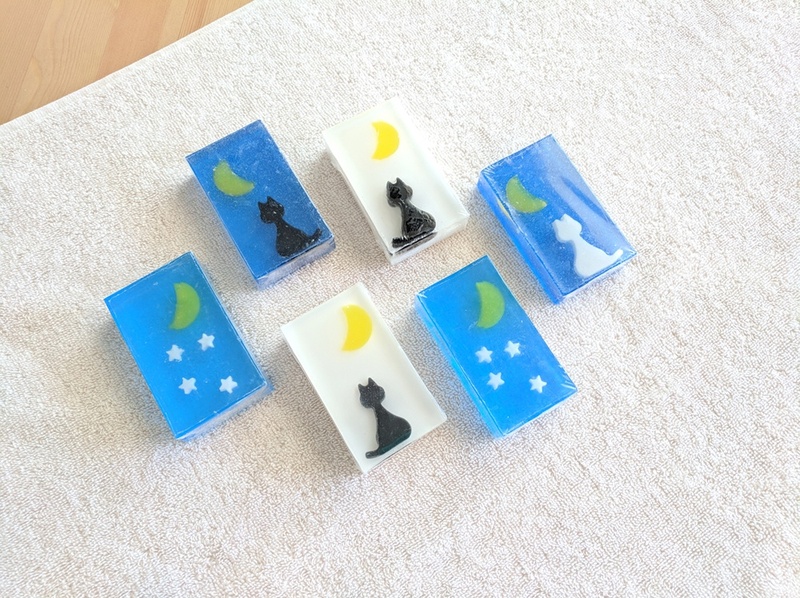 Resin pieces are made with clear UV resin liquid mixed with colouring powder or dye. 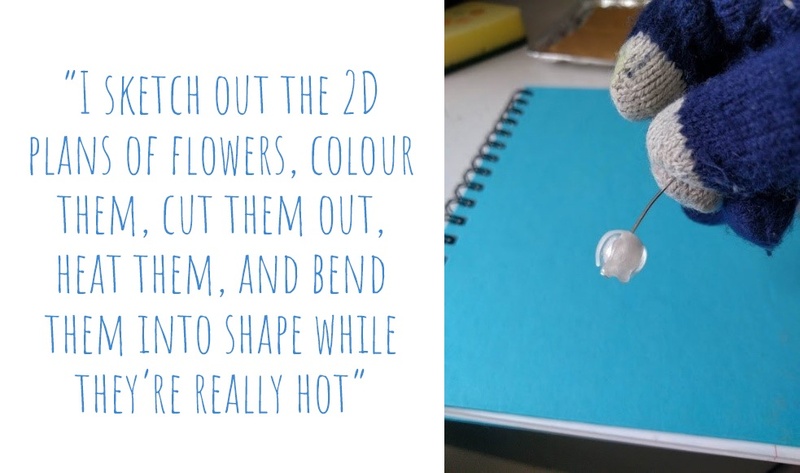 These are cured in a silicone mould with a UV light one layer at a time, which can often be a very slow process. 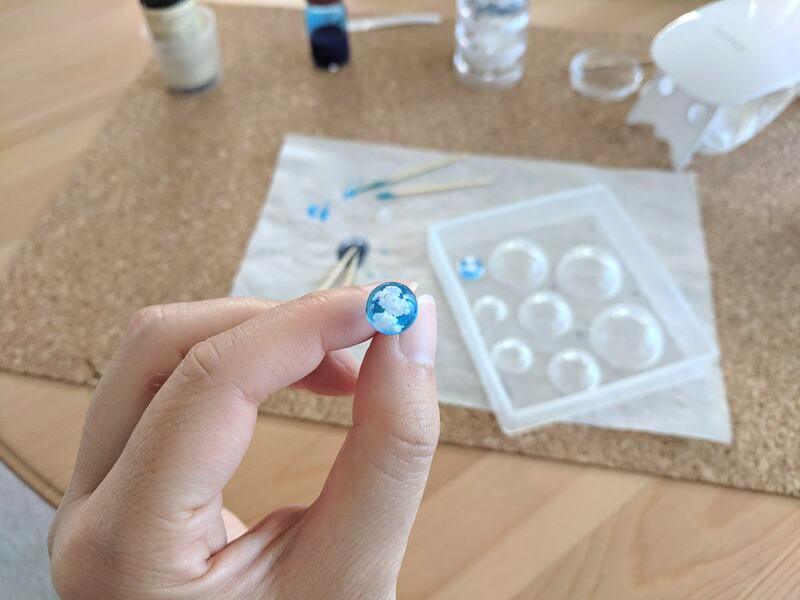 Little adornments are made and either trapped inside the resin or applied on the outside. 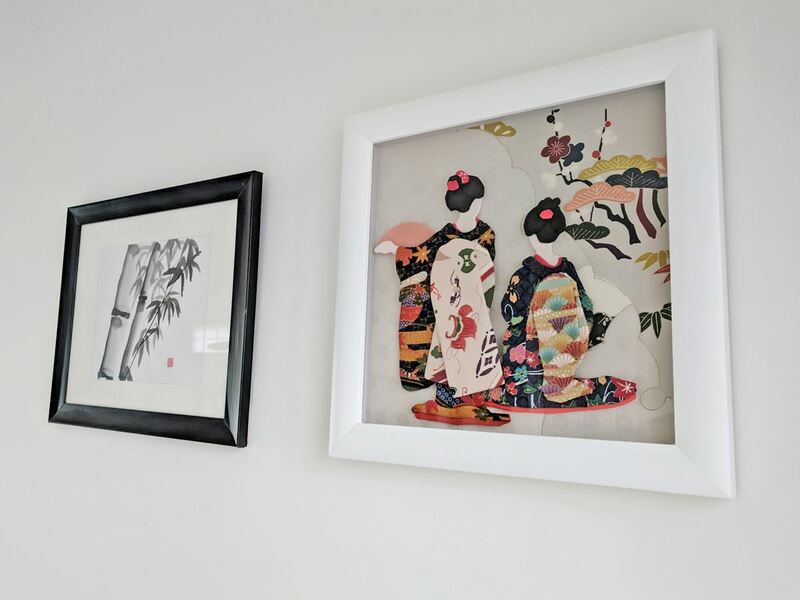 My designs are influenced by Japanese otona-kawaii style that promotes women to remain a girl at heart. 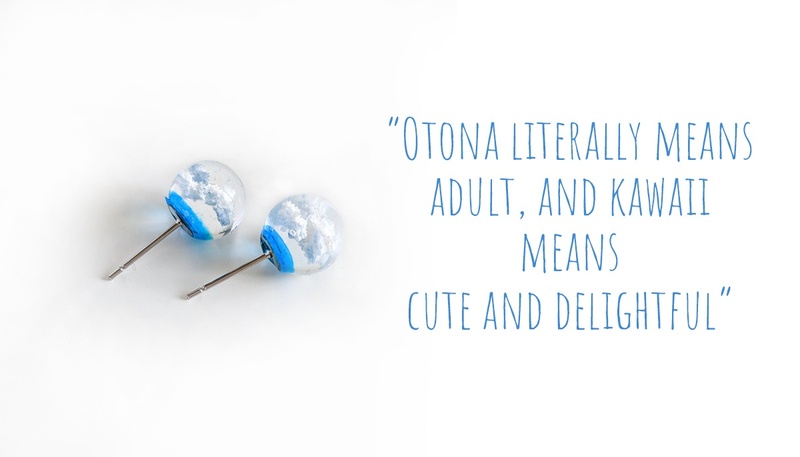 Otona literally means adult, and kawaii means cute and delightful; it’s actually a recently coined term that encourages women to feel young and wear things that make them happy. I also admire Japanese traditional foods and crafts; they reflect seasonal flowers and landscapes to celebrate each passing season. 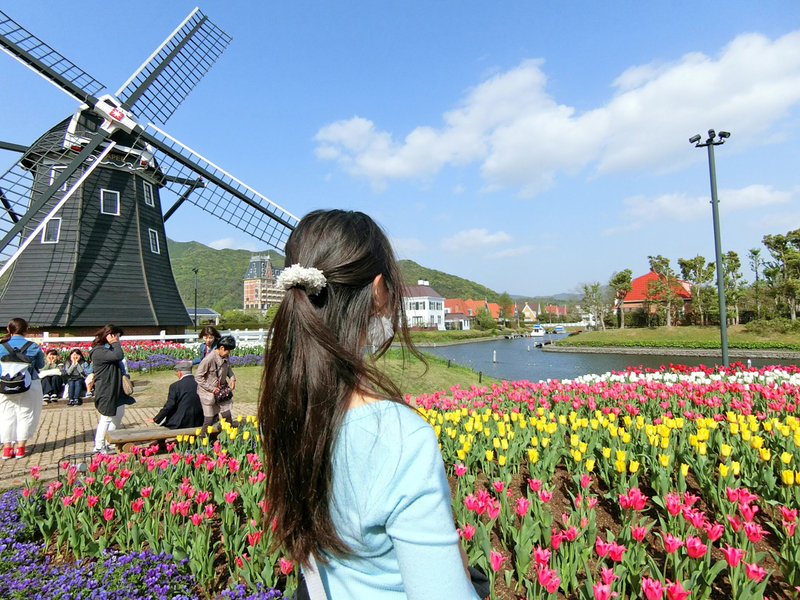 Likewise, beautiful sceneries and naturesque settings inspire me to trap what I see into my designs. 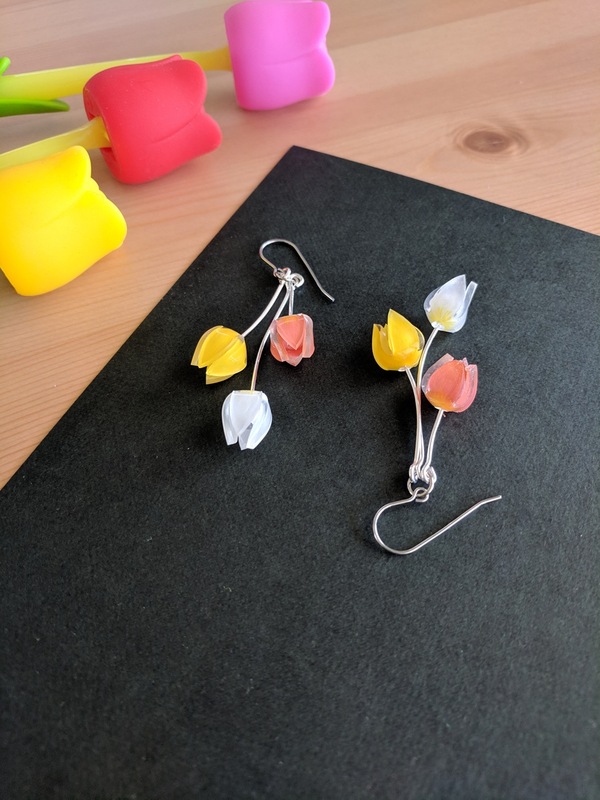 For example, visiting a tulip festival inspired me to make my tulip earrings. Shinji helps me get inspiration too. 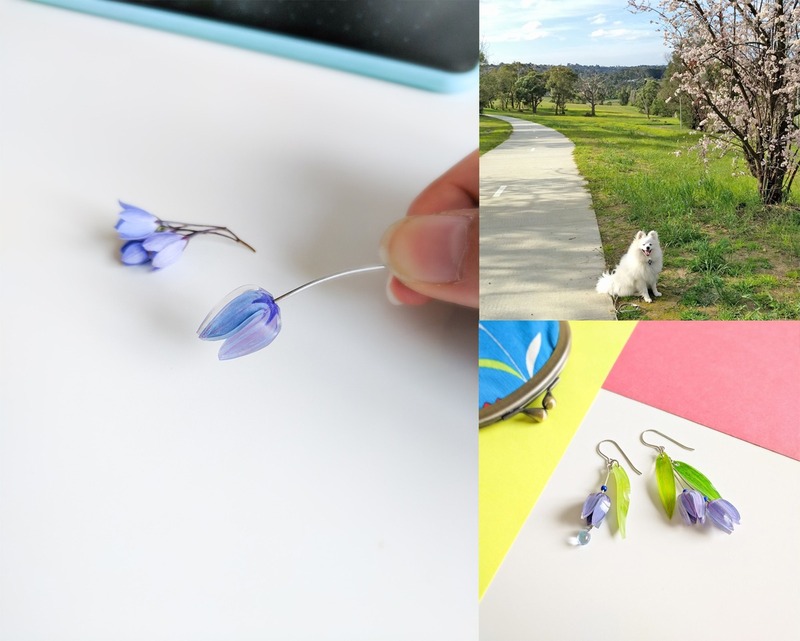 One day on a walk with Shinji, we came across a bush of bluebell flowers that challenged me to make bluebell charm earrings. 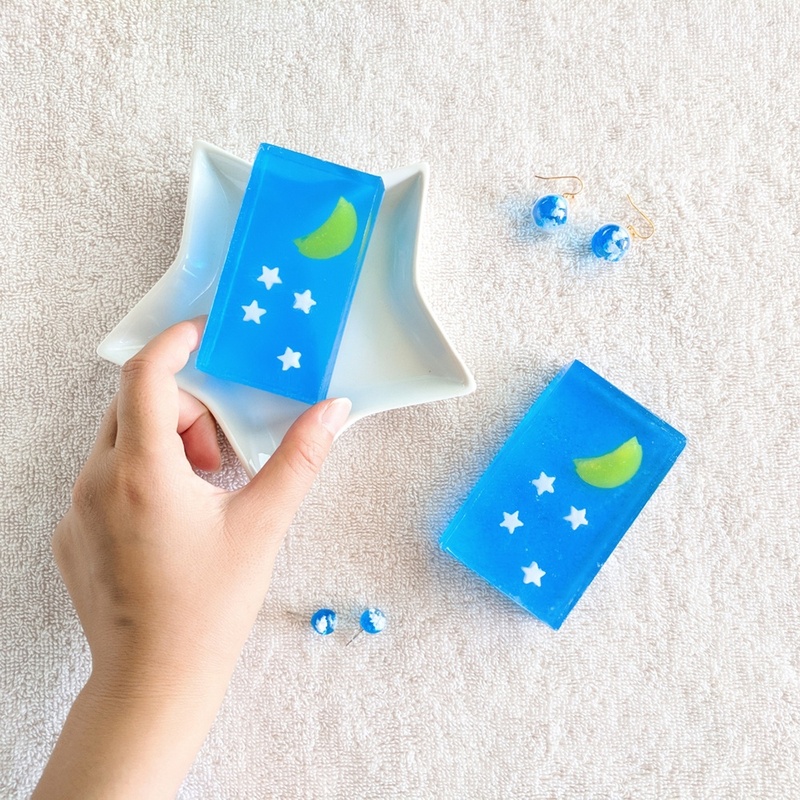 Another evening, we encountered a beautiful crescent moon that inspired me to make soap bars with a night sky motif. 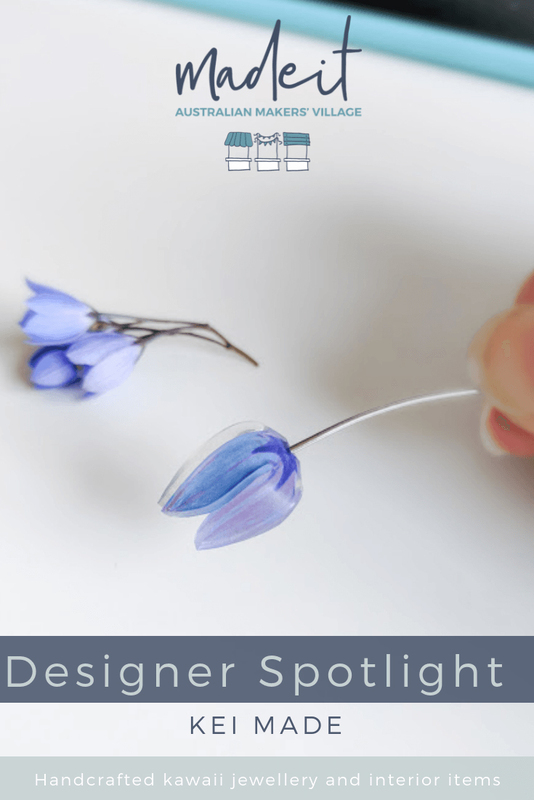 I love handmade because you get to see a glimpse of the maker’s life, as there is a story behind each choice that’s been made along the way. As a maker, it’s great because you can make what you want when you can’t find it locally or at all. And it’s a productive pass-time that gives you both skills and gifts to pass on to your friends. I chose Madeit because it’s an Aussie community platform that helps to connect with people local to Australia. 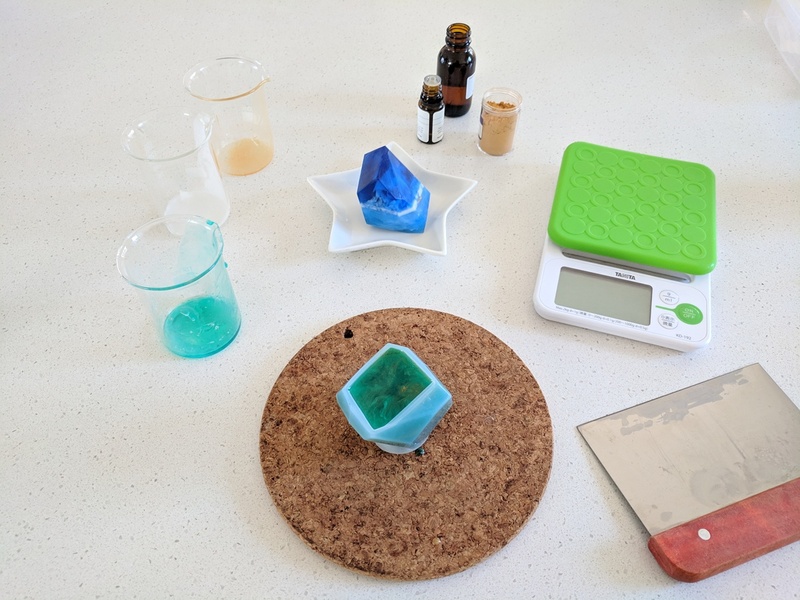 While global shopping has normalised, I think it’s nice to support Australian-made and feel that you don’t need to look beyond Australia to find what you want.